Compost is my favorite amendment for improving any soil. 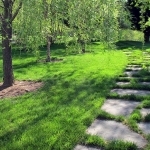 It makes heavy soil lighter and improves drainage. In sandy soil, it helps retain moisture. And the best part, you can make compost at home for free. Learning how to improve your soil can be a game changer to any gardener or weekend warrior who thought their soil was impossible to grow in. 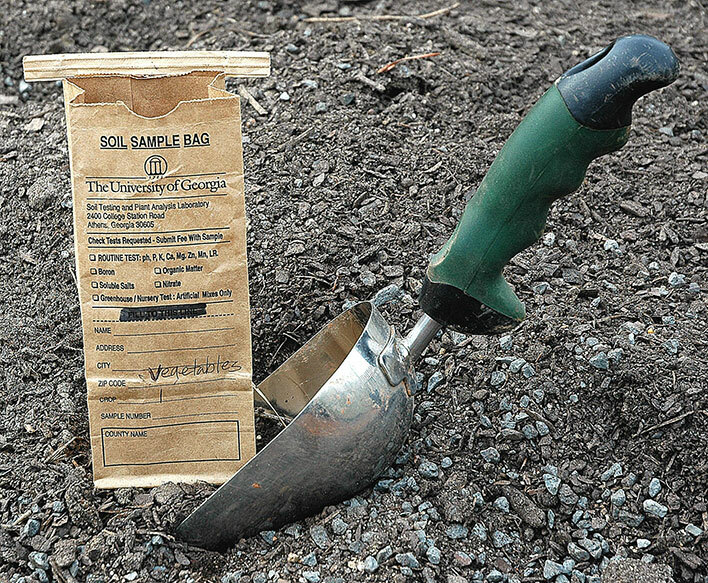 No matter where you start, here are 3 steps to making any soil better. Starting off with bad soil doesn’t have to be a deal-breaker. In fact, it doesn’t matter if you have impossible, heavy clay soil where water just sits there, and it seems impossible to dig, or loose, sandy soil where water quickly runs right through. 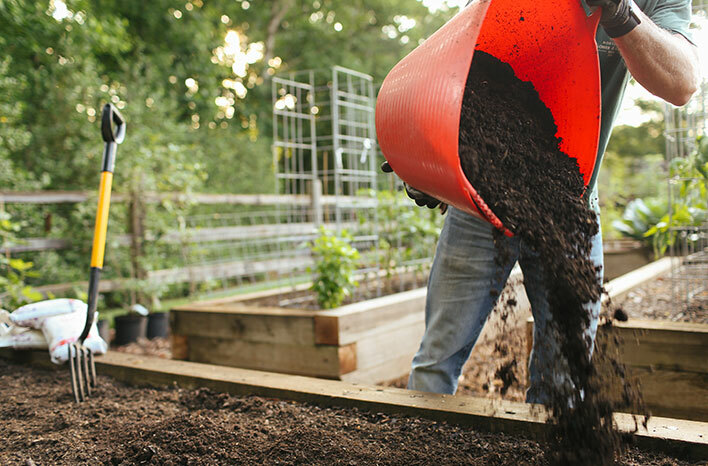 Read on to learn these 3 steps to making any soil better. Your soil, any soil, is made up of a combination of up to six components. In the perfect world, it has roughly equal parts of sand, silt and clay, plus air, water, and a small amount of organic matter (usually less than five-percent, often much less). But since you and I don’t live in that world, we likely don’t have perfect soil either. In sandy soil, water runs through, and we can’t keep our plants hydrated enough. In heavy clay soil, water just sits there and never gets to the roots, or eventually gets to the roots but stays there, potentially drowning your plants and trees. No matter how bad your soil is to start with, adding organic matter can make any soil better. The good news is that either condition can be improved to make your soil more hospitable to the plants you want to grow there. Organic matter is the single most important ingredient to improving any soil. It can make heavy clay soil drain better, easier to dig and not so hard or sticky. It can also help sandy soil hold together better and retain more moisture and nutrients. A small amount of organic matter added to the soil surface goes a long way. I strive for about an inch of compost or other amendments twice a year. Fortunately, a little bit goes a long way. Ironically, this same input (in most cases), can create the necessary changes to dramatically improve what you have, at least over time. 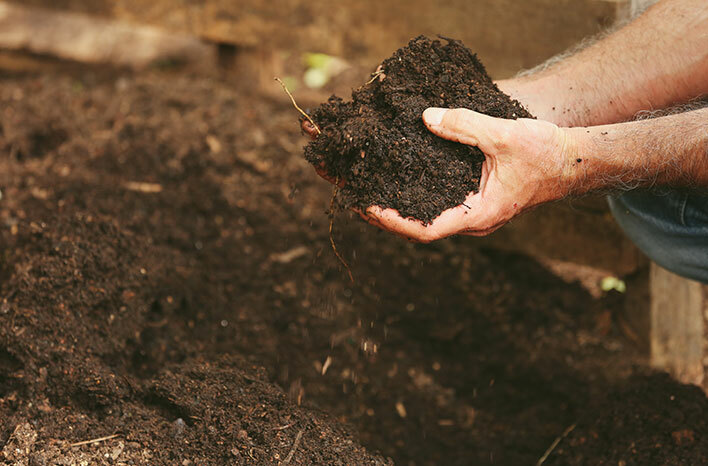 In practical terms, organic matter that you put into your soil is anything that came from the earth that you can return to the earth, preferably in its decomposed (or composted) state. Items from outside — shredded leaves, rotted manure, worm castings, grass clippings, plant debris, ground up bark, trees, and limbs — are all examples of organic matter. 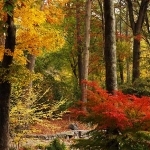 I love nature’s gift to gardeners each fall with all the leaves. I collect and shred them with a mulching mower. They are one of the very best things you can add to improve soil or make compost. From inside, shredded paper, paper towel rolls, plant-based food scraps, coffee grounds and more are all good candidates for the compost pile. While you could add these items directly to your soil, it’s best to store these ingredients somewhere on your property in a pile or bin and allow them to decompose first. Then, once all that goodness has broken down to an unrecognizable state, it’s ready to go into your garden soil and immediately go to work. The process just described is the essence of making compost—the collective product of all this combined organic matter breaking down en masse, and the single best ingredient for improving any soil. Although it’s quite a simple process to make it from all the items you already have from inside and outside the house, The Complete Guide to Home Composting is a comprehensive resource to take you much farther. I like to add about an inch of composted organic matter twice a year to all my beds and work it lightly into the soil. Worm castings (worm manure) is one of my favorite ingredients. 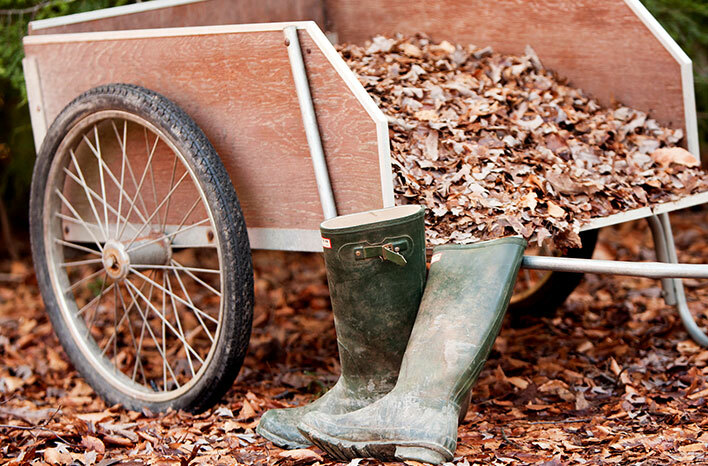 You can also buy bagged or bulk amounts of organic matter in the form of finished compost, natural wood mulch or shredded bark, leaf litter, mushroom compost, worm castings and more. So why does organic matter work so well for both soil extremes? The answer lies in the living network of soil organisms that develop in this mass of biodegradable goodness. The very organisms that break down the raw material into soil particles are the ones creating the ingredients that allow these particulates to bind together in various sizes. In turn, they create pockets of space for air and water to collect and move, and for roots to more easily expand. In heavy clay, the introduction of organic matter makes soil less dense. Roots can spread more, and breathe. Water drains better, yet enough remains to be available longer. In loose soil, large sandy particles are now sharing space with smaller, stickier particles that create variable sizes and reduce space between particulates beneath the surface. That creates greater water and nutrient-holding capacity that otherwise would pass through before being utilized. In both cases, the organisms that live and thrive in organic matter are being fed a carbohydrate-rich diet excreted from plant roots and surrounding matter. In turn, these billions of microscopic living organisms are producing nutrients in a soluble form that is stored on soil particles that plant roots can take up as needed. It’s symbiosis at its best, all thanks to giving plants more of what they need while helping us get more of what we want. While this could easily be step 1, I like to have this happen after I’ve added organic matter. 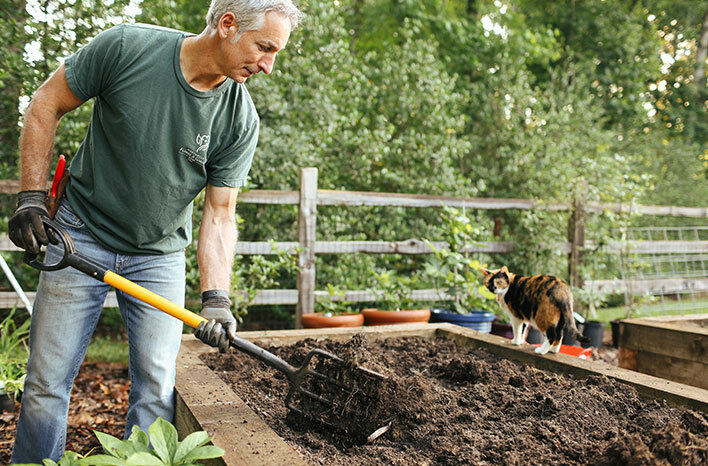 You can’t go wrong adding organic material to your soil—ever. The simple act of adding organic matter back into the soil will increase the nutrients as a part of that. 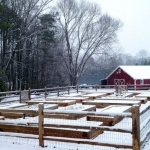 However, by doing the soil test after this, you have a chance to include how the new organic amendments have impacted the soil chemistry for the better. A soil test that you get through your county extension service is a small investment that offers valuable returns with the information you need to optimize the growing conditions below the surface. Soil tests from the extension service average around $15 and well worth it! But it’s not the end of the story. Even if your soil is nutrient sufficient, unless the soil chemistry is in balance, some of those nutrients will be chemically unavailable. A soil test will help tell you what you need to do to improve that. Depending on where you live, the soil will tend towards naturally acidic or alkaline. The best way to know what type of soil you have, and how to bring it into ideal chemical balance from a pH standpoint, is to get a soil test. While a soil test may not directly help improve the structure of your soil (so that it binds together better in loose soil or breaks up more easily in heavy soil), it will help you fine tune your soil’s chemical balance. Once you’re able to adjust the pH level, it will make the soil that you have better at making the nutrients in the soil available to your plants. To me, it’s the most important reading on the report and an easy one to resolve to bring into optimal conditions. It’s important to keep in mind that while the addition of organic matter is critical to the health of any soil, it’s not something you just apply or mix in one time and forget about it. The best soil is the kind that continues to get periodic applications of additional amendments. 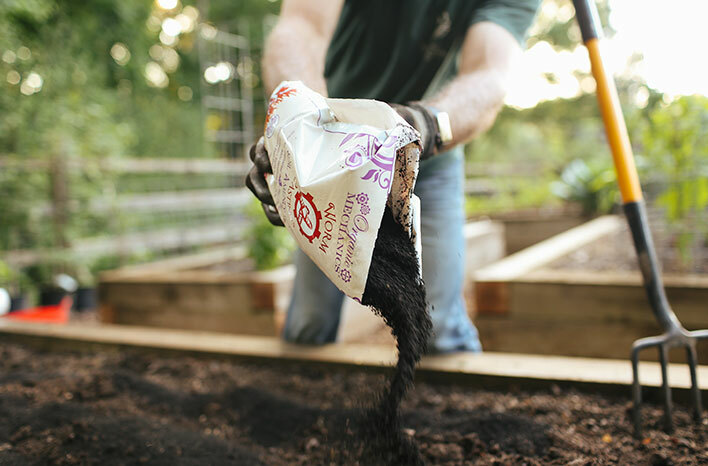 Once organic matter is added to the soil surface, you can either leave it alone on the surface (but cover with mulch) or lightly turn it into the top 4 inches or so of soil. While it’s not required that you work the organic matter into the soil each time, you should be in a mindset of constantly looking for opportunities to get it onto the soil surface, at least. Mother Nature’s army of microscopic organisms, arthropods and earthworms will do the work of breaking it down, and take it deeper into the soil right where it’s needed. However, if you can work it into the top several inches of existing soil, it will go to work faster and reduce exposure at the surface. If you can do that, Mother Nature will take it from there. My lawn has never looked better since I’ve been consistently adding a top dressing of horse manure and certified compost each fall. Using a mulching mower to return the grass clippings directly to the surface every time I mow. Shredding fall leaves with that same mower and spreading them onto my lawn, or storing them in a compost heap to break down for later use. 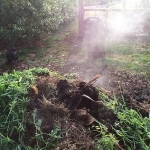 Spreading well-composted horse manure over my lawn once or twice a year (well-composted manure will not burn your lawn and will contain fewer viable weed seeds). Purchasing bulk compost (or Certified Compost) and distributing across the surface of your lawns and beds. Adding an organic fertilizer that promotes above- and below-ground growth, without harming the existing soil organisms with a salt-based product like synthetic fertilizers. 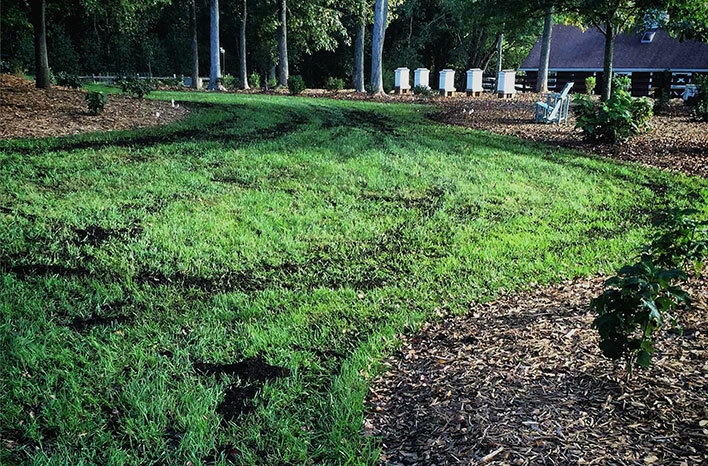 (I use Milorganite® – slow-release and non-burning that feeds the plants and soil). 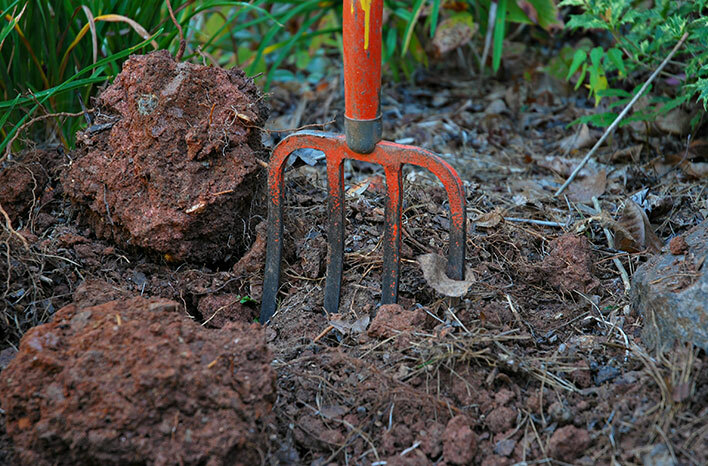 No matter how bad your soil is, following these 3 simple steps will make it better. Just continue to work on improving it over time. It’s not a one-time fix but rather a process. In time, you will be well-rewarded for your efforts.